Welcome to Nicola Harris & Associates a physiotherapy clinic specialising in vestibular rehabilitation. Vestibular rehabilitation is a type of physiotherapy specifically designed to treat patients suffering from vertigo, dizziness, nausea and loss of balance. 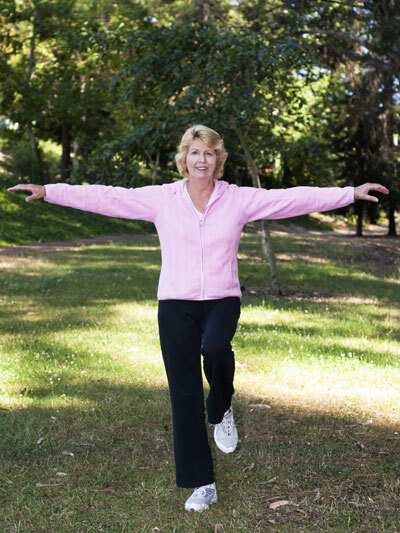 The treatment is exercise-based and the exercises used have been proven to promote central nervous system compensation for a balance disorder. In order for us to maintain our balance, as well as relying on sensory information from the balance organs in our inner ears, we also rely on our vision, the sensors on the soles of our feet and our joints. These sensors send complementary information about where our head and body is in space to the balance centres in the brain. This information is essential for the maintenance of balance. If the information from either our balance organs or the brain’s coordinating pathways is incorrect then the result maybe dizziness, nausea, vomiting and imbalance. Although this condition can be quite frightening and you may feel anxious, it is not usually serious or life threatening. Benign paroxysmal positional vertigo (BPPV) – tiny crystals inside the balance organs become loose which causes brief attacks of vertigo precipitated by head movement. Ménière’s disease – an abnormality of the fluid in the inner ear which can cause hearing loss, tinnitus, vertigo, fullness in the ear and imbalance. Vestibular neuritis (labyrinthitis) – a virus or infection that can damage the balance organs causing vertigo, nausea, vomiting and imbalance. Acoustic neuroma – a rare benign tumour around the ear that can lead to hearing and balance problems. Migraine-related balance disorders causing vertigo and imbalance. Here at the central London clinic Nicola Harris & Associates carry out a thorough assessment to establish the root of your problem before devising a customised programme of balance exercises to help resolve your symptoms. Your treatment programme will include special exercises designed for your condition. You will sometimes be given dietary and lifestyle advice. If you have BPPV this can be treated with a simple head manoeuvre called the Epley’s manoeuvre. You will be advised to practise your exercises regularly at home and in some cases, only one appointment at the clinic will be necessary. However, some conditions take several months to treat and you will need to visit your physiotherapist approximately once or twice a month. Nicola Harris & Associates takes referrals from consultants, GPs and other medical professionals as well as self-referrals and we treat a large number of medico-legal patients. 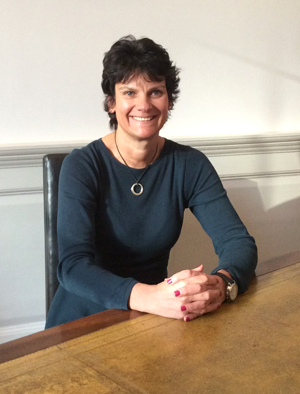 Nicola Harris is one of the leading providers of vestibular rehabilitation in the UK and highly respected in this field. She also provides her expertise to the NHS at a Regional Balance Centre in the South East. Read the about us page for more information about Nicola. I had been suffering from a feeling of unsteadiness and pulling sensations along with loss of confidence in my legs ability to balance me for approx 18 months until i visited Nicola Harris. At my first appointment Nicola gave me a full assessment and explained to me in understandable terms what was going on in my nervous system, brain and balance center to cause these symptoms and why they had become chronic. After then giving me instructions on exercises to undertake on a daily basis i went away and focused on completing them as requested. I very quickly started to see improvement over the first 4 weeks and then ongoing over several months. I am now about 90% improved after 6 months from my initial state which was causing me dreadful problems in my daily life. I cant recommend Nicola highly enough as she has given me back so much when i was starting to doubt i would ever be normal again. I sustained a nasty head injury in December 2013 and was referred to Nicola Harris several weeks later. I had been feeling extremely unwell and was frustrated at being unable to work and unable to undertake many normal, everday activities. From the outset, Nicky was caring, personable and optimistic, particularly when I was feeling miserable and could not see any improvement in my condition. Nicky has had me follow a programme of vestibular exercises over the months, and under her professional guidance I am now well on the road to recovery and about to return to work. I have been very impressed with the quality of care I have received from Nicky and cannot thank her enough for her patient, well-paced and extremely helpful advice. I am hoping that I won’t have to make too many more appointments with her now, but I do know that if I need her, she will make time for me. A truly wonderful health professional.